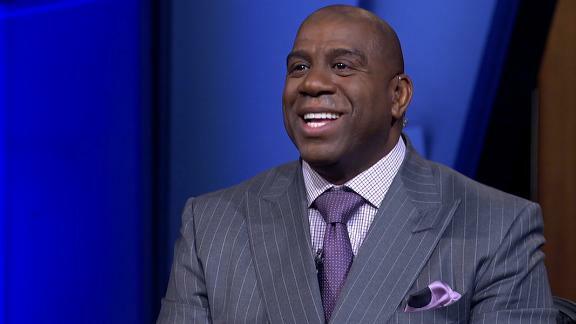 Magic Johnson knows he screwed up on the Paul George front, and he doesn’t want the Los Angeles Lakers to pay for it. The NBA slapped the Purple and Gold with a $500,000 fine for tampering after allegations were brought about by the Indiana Pacers. In a nutshell, the investigation revealed the Lakers got too cozy with the soon-to-be free agent, who is widely considered a lock to sign with the team in 2018, when he actually hits the open market (player option). This sentiment is a nice one. It really is. But Buss may be happy—or at least more than willing—to foot this bill. After all, if you’re going to get in trouble for something, it might as well be for recruiting a top-20 player to prematurely come join your team. She has to appreciate the lengths Johnson and general manager Rob Pelinka has gone to, even if it’s on a covert level. Granted, none of this matters, really, unless the Lakers land George next summer. And if they do, they’ll be subject to jokes and ridicule and other accusations, which is hardly ideal. But it’s also easy to navigate that minefield of hatred when, you know, you’ve just signed freaking Paul George.